Purple was the traditional color of royalty. It also represents spirituality and wisdom. 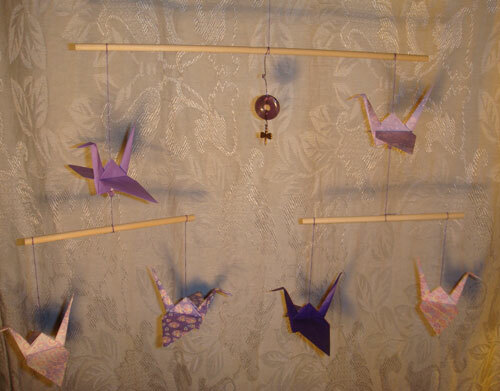 This origami crane mobile was created with rich purple colors. 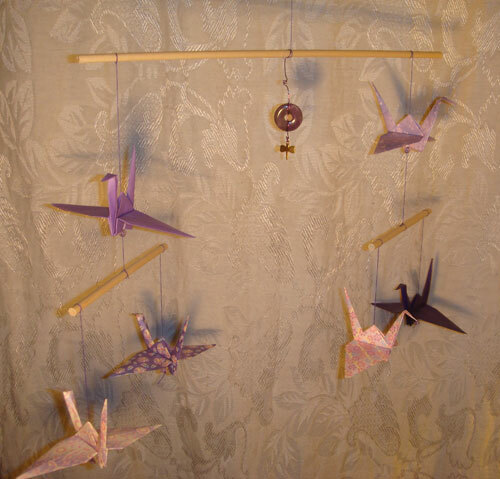 This mobile was made in a symmetrical style. 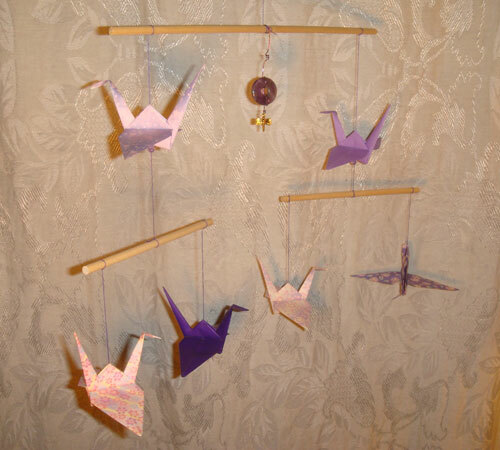 Each of the two arms of the mobile has a single origami crane descending from it. That crane then holds a pair of cranes on a lower support. The purples are in a range of patterns so each one is unique while fitting in with the overall whole. 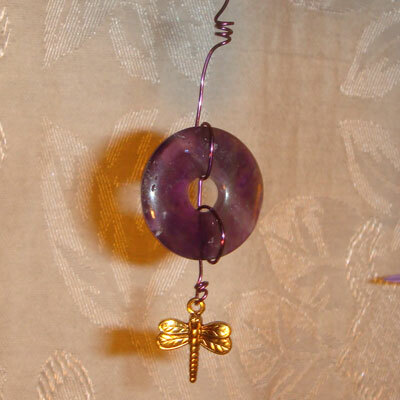 The cranges hang from purple threads and rest on purple beads. The central decoration is an amethyst. Here are some photos of the Purple mobile.